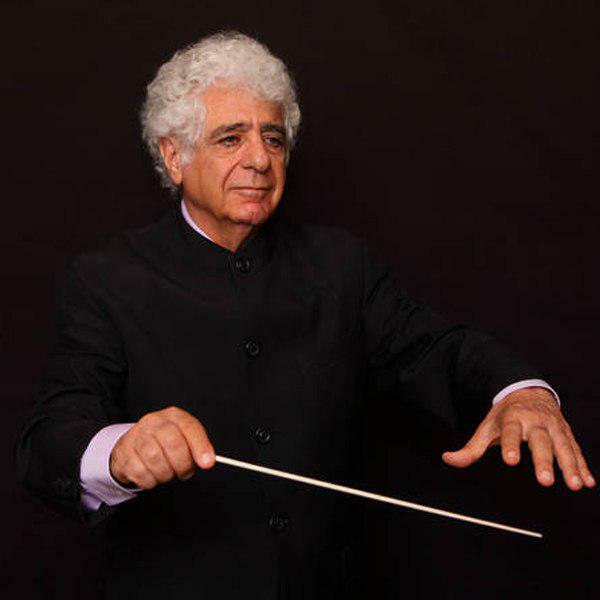 Iranian-Armenian composer and conductor Loris Tjeknavorian, who has just celebrated his 81st birthday anniversary, says he is relatively satisfied with his long history as a musician, and is determined to compose new pieces with God’s help. Tjeknavorian is one of the most renowned cultural figures in Iran and Armenia. Born in the western city of Boroujerd to immigrant Armenian parents in 1937, Loris left Iran on his 17th birthday for Austria to take up his academic studies in music. 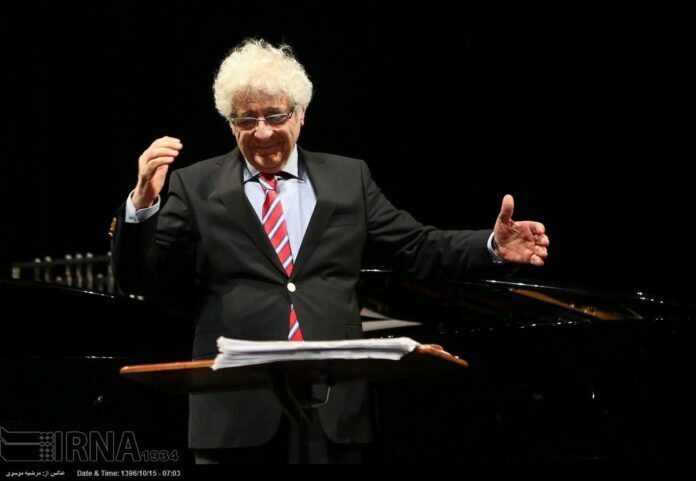 Having graduated from Mozarteum University of Music and Dramatic Arts in Salzburg, he returned to Iran. Later on, he also managed to graduate from Michigan University as a conductor. Loris’s record as a musician is honourable in terms of the number as well as quality of his compositions. He has left a considerable orchestral collection so far. In the following interview with IRNA, he has talked about his 81-year life. Q: If you could get back in your life, which parts seemed more important to you? A: I basically try not to think about the past. To me, the past is like a bird which has broken its cage and will never come back. So, thinking about the past is of no use. It goes without saying that our lives are riddled with good deeds, mistakes, moments of happiness and sadness. All these make up our experiences in life. We have to take steps forward one by one. Looking back will only stop our progress. I’ve had many wishes in my life and did my best to achieve them. Fortunately, I’ve fulfilled most of them and there are many others which if God helps I’m determined to achieve. I have a good feeling after accomplishing a composition. Performing it makes me much happier and when I see the audiences like it, the happiness reaches its climax. Q: The collection of compositions that you have written and performed is too big to be neglected. What is your plan for the future? A: Like many others, I’ve had a lot of plans in my life which as I said most of them have been accomplished. Meanwhile, if God helps, I like to see the world and get familiar with people from various cultures. Looking at my collection, I feel good and thank God. It is not a bad collection. Of course, it could be better but it is not disappointing at all for an 81-year-old man like me. If God helps, I would create new compositions. I love to see people from different regions. I like to visit the places I’ve not yet travelled to and get in touch with their people and become familiar with their cultures, rituals and customs. One day, we would come to this conclusion that we all are the sons and daughters of the same parents. I think love is the only need of our world. We should be able to fall in love with each other once again. We should like each other regardless of colour, race and geography to make the world more beautiful. We should keep love alive. Q: You have never left Iran forever and it seems Iran is your only choice for life. Why? A: Iran is my homeland. My ancestors have lived in this land. I’ve been born in Iran and will be buried here. I’m emotionally and culturally attached to every inch of this country and feel at home in nowhere except for Iran. As I said, I love visiting people from various parts of the world but Iran is the centre of my gravity. I’ve studied and thought music in America and a number of other countries. I’ve performed in many countries in which I could have a good condition for work and living but Iran remains my first and last choice for life. I’m wholeheartedly happy to be an Iranian and creating my compositions in Iran during my direct and face-to-face touch with my fellow countrymen reflecting their happiness and sadness. I deeply appreciate it that you remembered my birthday anniversary and give me a chance to talk about my life. I have something here which may not be with me with the same quality in any other part of the world.